Come to Fixspot today for professional and affordable iPhone 5s repairs Melbourne CBD. What can we offer you? Professional repairs in under 30 minutes, and all at a reasonable cost. We like to keep our prices as low as we can for our customers. iPhones are expensive products, and the last thing you want is to shell out an arm and a leg for something ever time you drop your iPhone. We keep our prices as low as we can for our customers, while still providing quality repair. For minor repairs, we usually are able to complete them in 30 minutes or less. 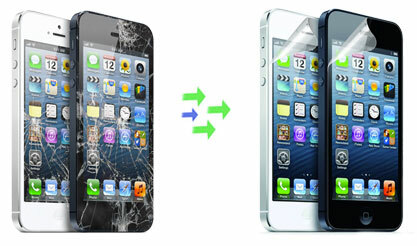 At Fixspot we fix your phone on the spot - and we really mean that. We are confident in the quality of our repairs, however, if you do find that you are experiencing an issue after our repair we include one year warranty on all repairs. If you need further information on our iPhone 5s repairs Melbourne CBD, please don't hesitate to contact us.